The Yellow-billed Babbler or White-headed Babbler (Turdoides affinis) is an Old World babbler endemic to southern India and Sri Lanka. 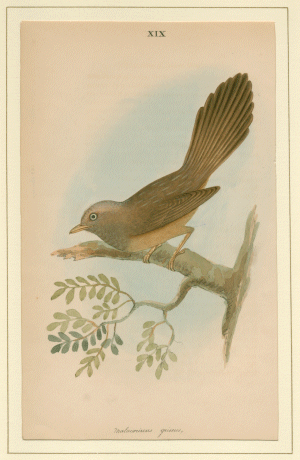 The Yellow-billed Babbler is a common resident breeding bird in Sri Lanka and southern India. Its habitat is scrub, cultivation and garden land. 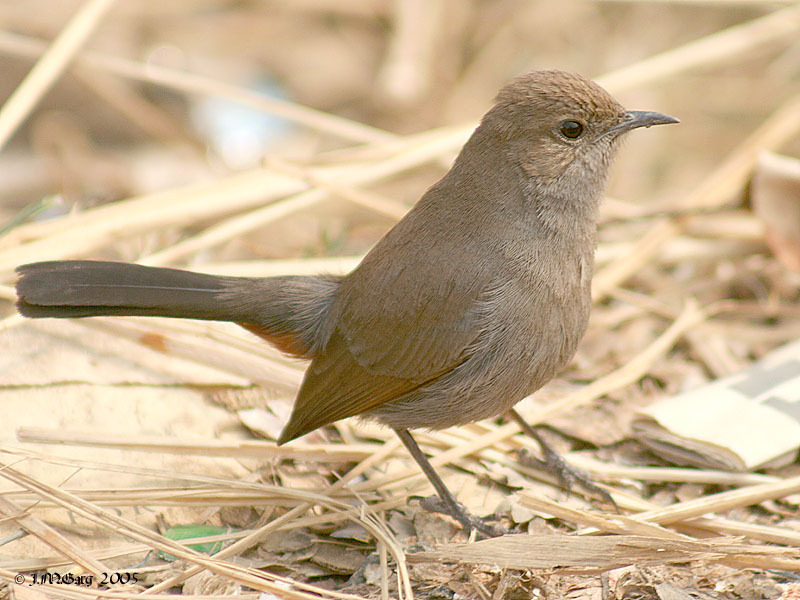 This species, like most babblers, is not migratory, and has short rounded wings and a weak flight and is usually seen calling and foraging in groups. 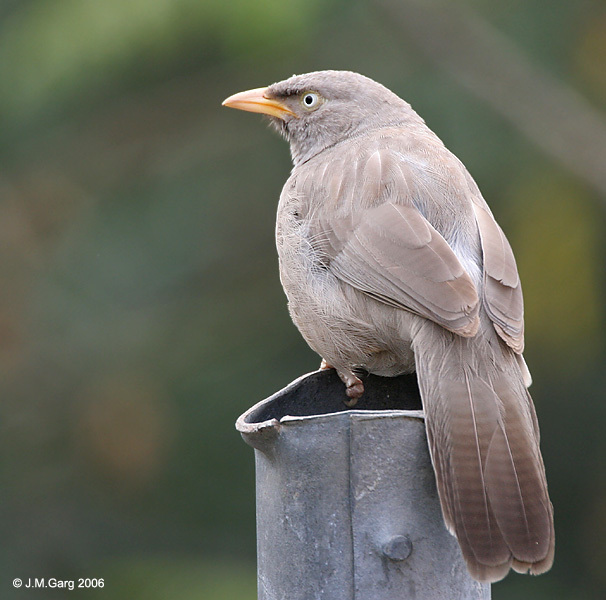 It is often mistaken for the Jungle Babbler, whose range overlaps in parts of southern India, although it has a distinctive call and tends to be found in more vegetated habitats. 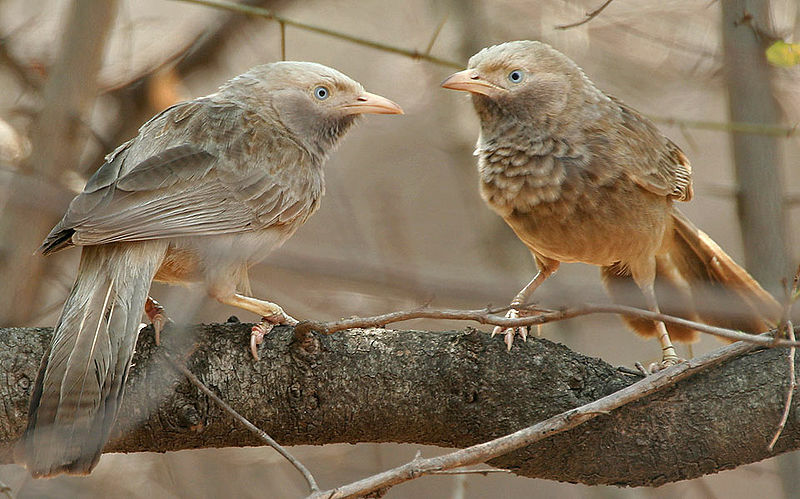 The Jungle Babbler, Turdoides striata, is an Old World babbler found in South Asia. 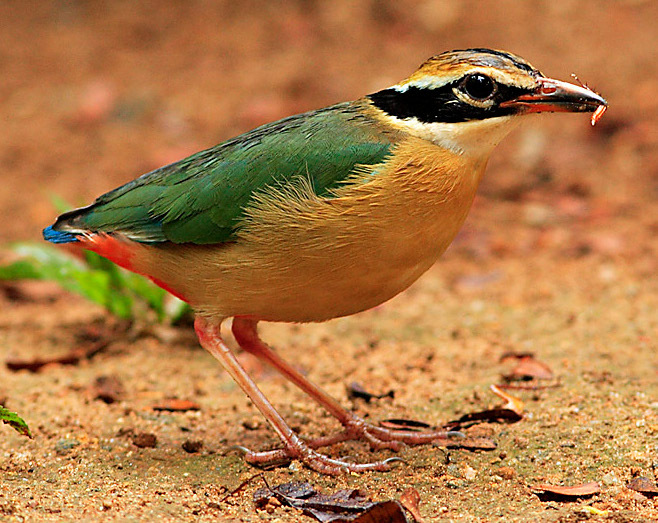 They are gregarious birds that forage in small groups of six to ten birds, a habit that has given them the popular name of Seven Sisters or Saath bhai in Hindi with cognates in other regional languages which means “seven brothers”. நெஞ்சிடத்தே மஞ்ச ணிறம் வாய்ந்த ஒருவகைக் குருவி. 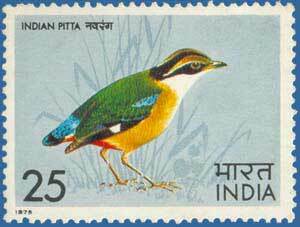 The Indian Pitta, Pitta brachyura, is a medium-sized passerine bird. 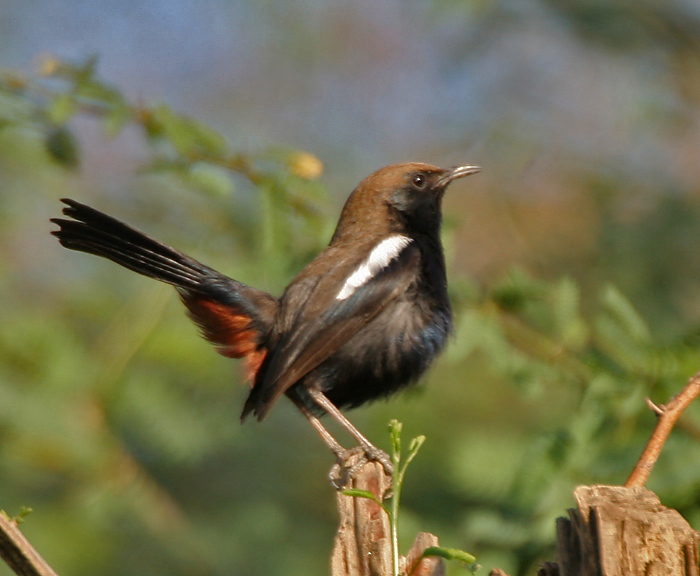 It breeds mainly in the sub-Himalayas and winters in southern India and Sri Lanka. 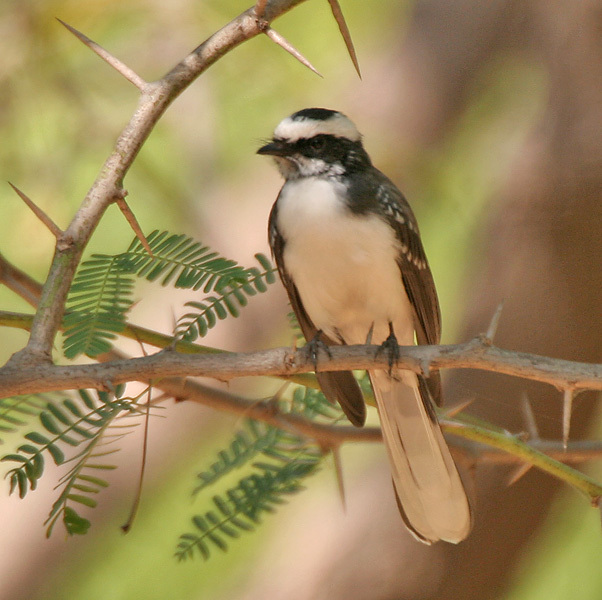 These birds are found in thick undergrowth and are often more easily detected by their calls. They however often crash into houses during the migratory season and their brilliant colouration makes them an object of curiosity and are often covered in newspaper stories. 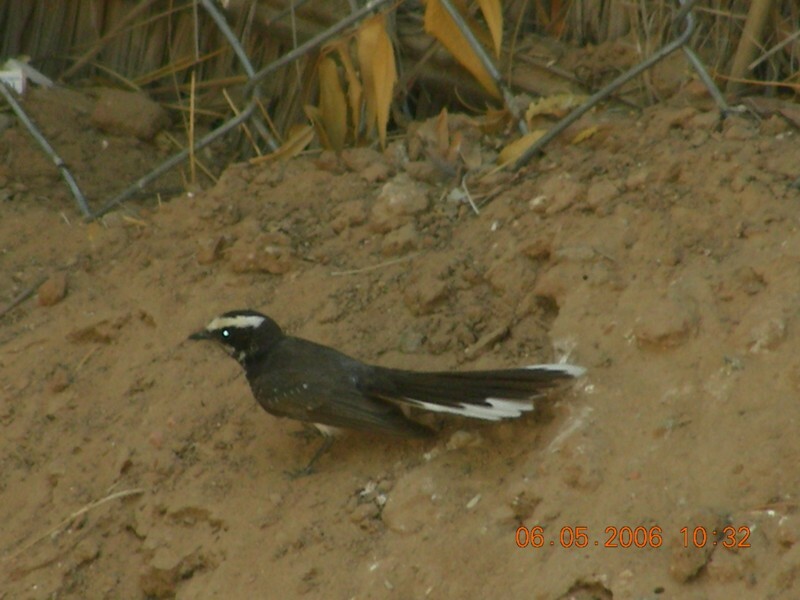 The White-browed Fantail, Rhipidura aureola, is a small passerine bird.The White-browed Fantail breeds across tropical southern Asia from India and Sri Lanka east to Vietnam. This species is found in forest and other woodland. Three eggs are laid in a small cup nest in a tree. most enjoyable wonderful collection of colourful birds that interests both grown-ups and children. thanking you and looking forward to more.